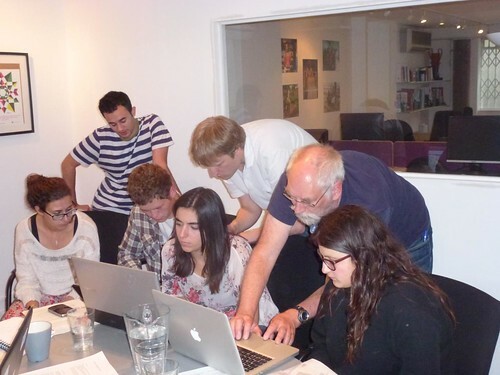 A week ago I got together with Steve Chilton and Steven Feldman and gave an OpenStreetMap training course to a handful of enthusiastic young people who were about to head out to Ghana as volunteers with a charity called tzedek. I’ve done similar things before but nothing exactly termed a “training course” actually. It was pretty similar to the UCL Masters Student mapping party Sept 2010. Back then I was asked to kick things off with an introduction, and had to stand up make something up on the spot. This time I had some slides prepared.